Get ready to be taken to a galaxy far, far away! In addition to the Star Wars Battlefront Beta on PlayStation 4, Xbox One and on Origin for PC, you will also get a chance to try out the Star Wars Battlefront Companion experience. Available during the Beta only at www.StarWarsBattlefront.com, the Star Wars Battlefront Companion experience features the strategic card game Base Command, and lets you earn in-game Credits that unlock Star Cards, weapons, and more in Star Wars Battlefront. In addition to Base Command, the Companion also lets players check out game stats and progression, customize load-outs and appearance, connect with friends, and more. 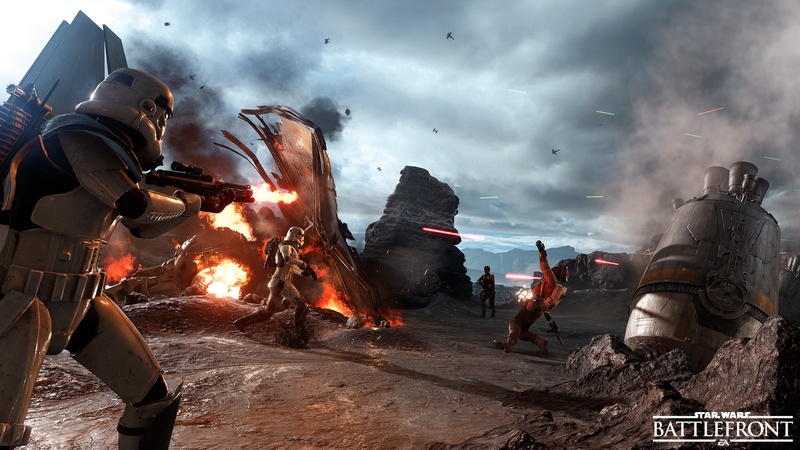 What is the Star Wars Battlefront Beta? The Beta is an opportunity for the team at DICE to test various aspects of the game and its online infrastructure. Because of this players may experience interruptions to their gameplay during the Beta period. Do I need to register for the Beta? The Star Wars Battlefront Beta is open to PlayStation 4, Xbox One and Origin for PC players. There is no need to register. The Star Wars Battlefront Companion is available during the beta to all players with an EA Account at www.StarWarsBattlefront.com. When is the Star Wars Battlefront Beta? The Star Wars Battlefront Beta and Companion will be available on October 8 and will end on October 12. The Beta and Companion is open to players around the world, so everyone will get a chance to live out their Star Wars battle fantasies. What time will the Beta and Companion be available on October 8? Time will vary by platform and region. 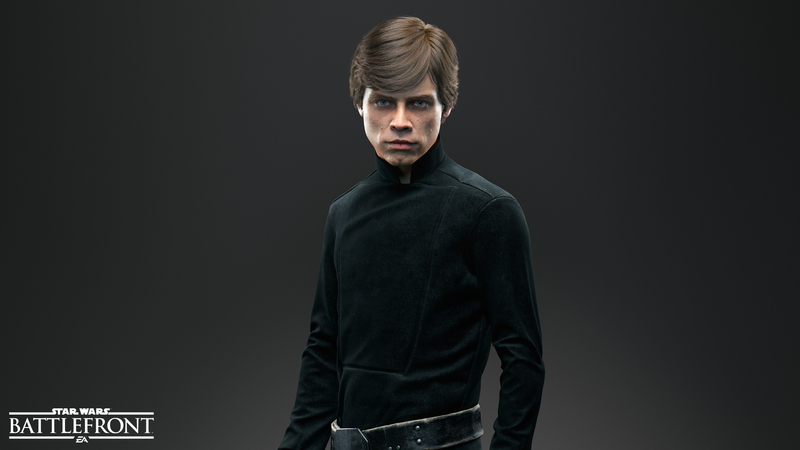 Please come back and visit the Star Wars Battlefront Beta hub or follow us on Twitter for all the latest information. When will the Beta and Companion end? The Beta will end on October 12. Exact times vary by platform and region. The Beta level cap with allow you to advance to level five. Once you hit the level cap you will no longer be able to progress to higher levels, though you will still be able to unlock items in the Beta. Do my stats and progression carry over to the main game? Stats and progression will not carry over to the final game or the final companion experience. How many players does each mode support? Walker Assault supports up to 40 players, 20 per side, with Drop Zone supporting 16. The Survival Mission can be played by yourself or with a friend via online co-op or local split-screen. Local split-screen is available on PlayStation 4 and Xbox One only. Will there be a mobile app for the Companion? During the Beta, the Companion will only be playable via browser at www.StarWarsBattlefront.com. 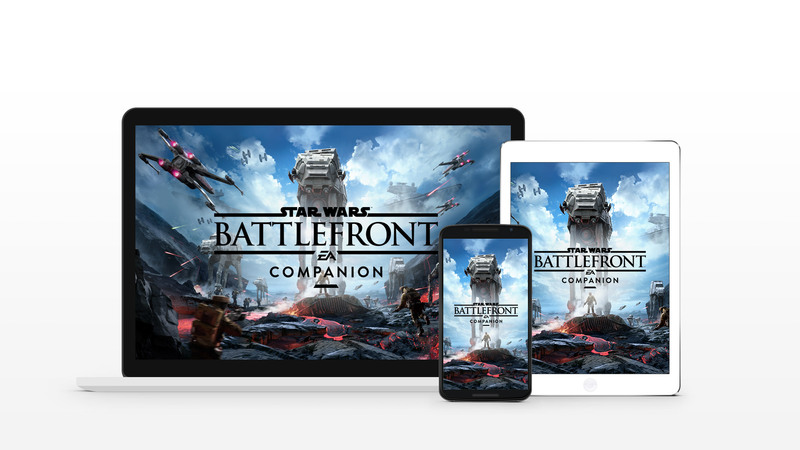 Prior to the release of Star Wars Battlefront, the Companion will be available on web and in the Apple App Store™ and Google Play™ store. Note that stats and progression earned during the beta will not carry over to the final Companion experience. What browsers does the Companion support? The latest version of Chrome, Firefox and Microsoft Edge, as well as Internet Explorer 11. BETA PARTICIPATION REQUIRES A PERSISTENT INTERNET CONNECTION, THE ORIGIN CLIENT TO REMAIN IN ONLINE MODE (FOR PC PLAYERS), AND IS GOVERNED BY THE TERMS OF THE BETA AGREEMENT. GAMEPLAY PROGRESS, ACHIEVEMENTS, CHARACTERS, CHARACTER DATA AND/OR ANY OTHER VALUE OR STATUS INDICATORS ACHIEVED THROUGH GAMEPLAY IN THE BETA WILL NOT TRANSFER TO STAR WARS BATTLEFRONT MAIN GAME OR STAR WARS BATTLEFRONT COMPANION. BETA IS PRE-RELEASE SOFTWARE, MAY CONTAIN ERRORS/DEFECTS AND IS PROVIDED "AS IS" WITHOUT ANY EXPRESS OR IMPLIED WARRANTY.